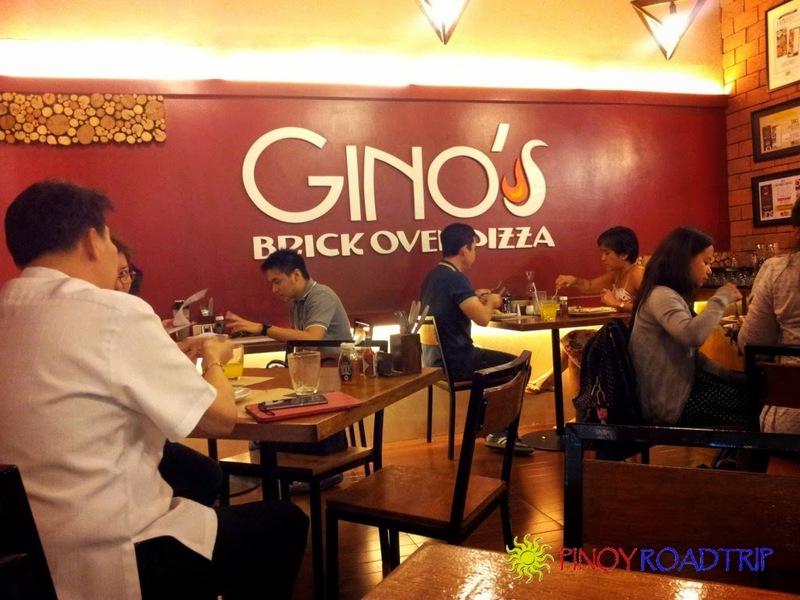 I highly recommend the food at Gino's Brick Oven Pizza. It's healthy, fresh and full-flavored. 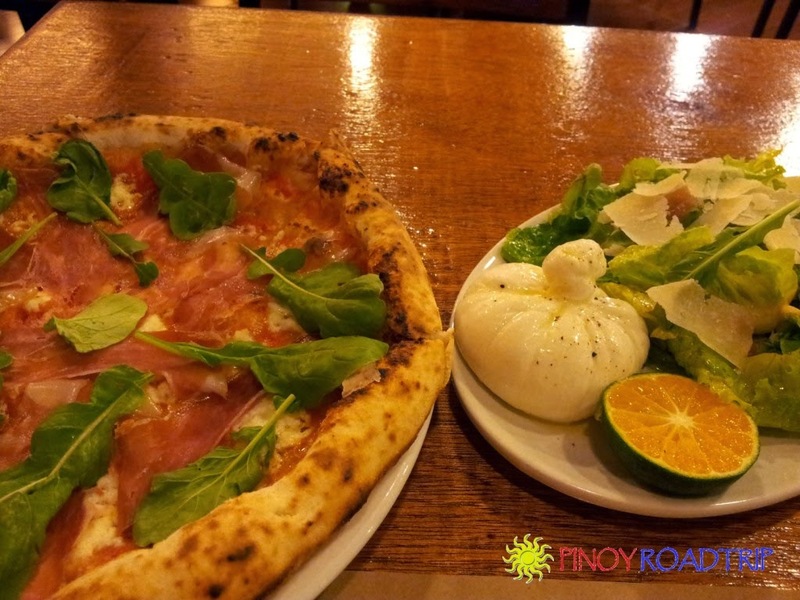 I'll share with you my two favorite meals that I always order every time I go there. No matter how determined I get to taste the other food on the menu, I always end up ordering these two meals. 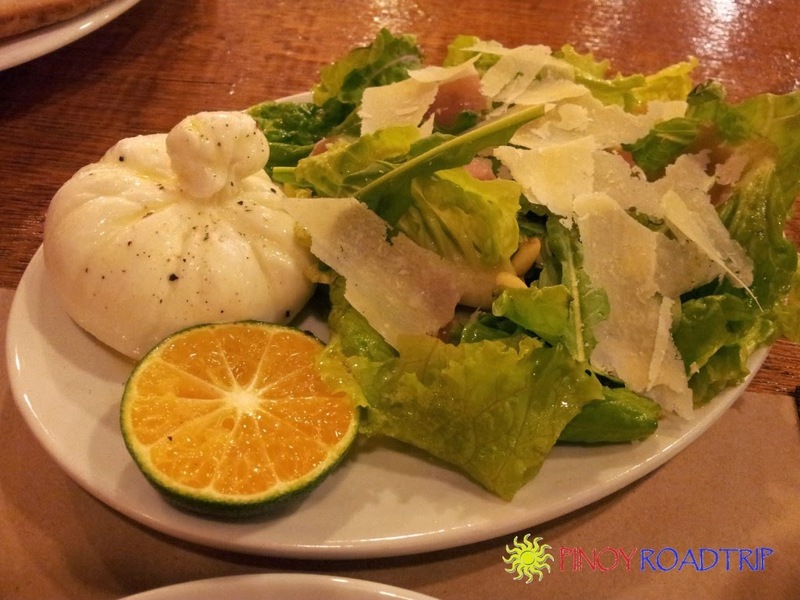 This salad is made up of greens, prosciutto, sliced parmesan and pine nuts with dalandan dressing. 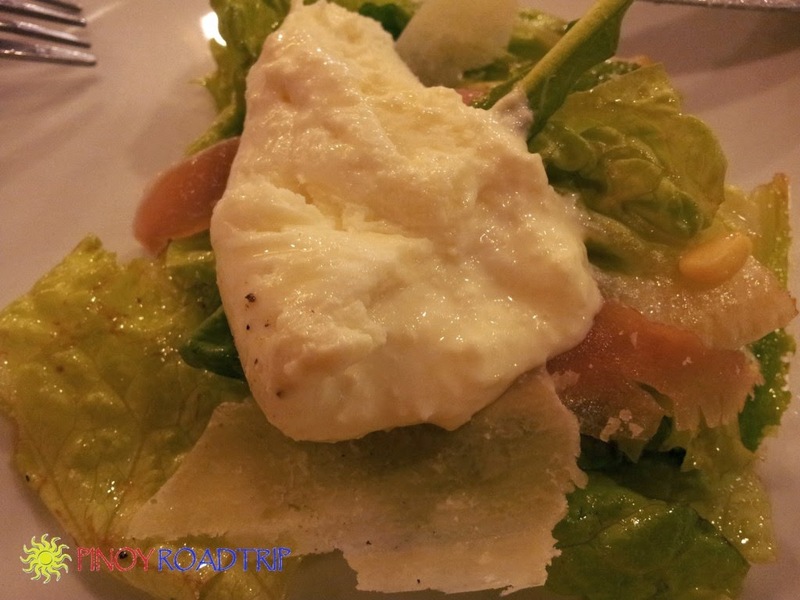 My tip: Make sure to order this salad with the burrata. This salad becomes unique when you eat it with burrata. 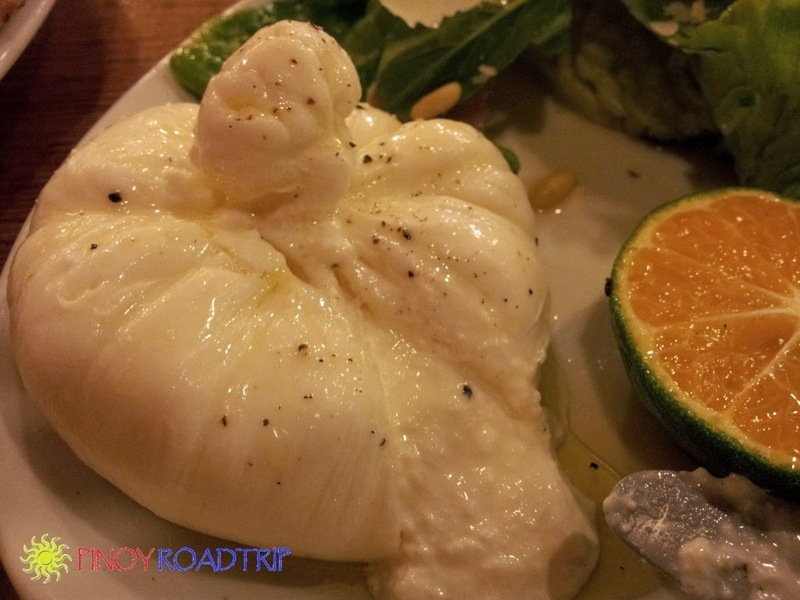 Cutting open the burrata with a knife, you see all the mozarella and cream oozing out of the mozarella shell. 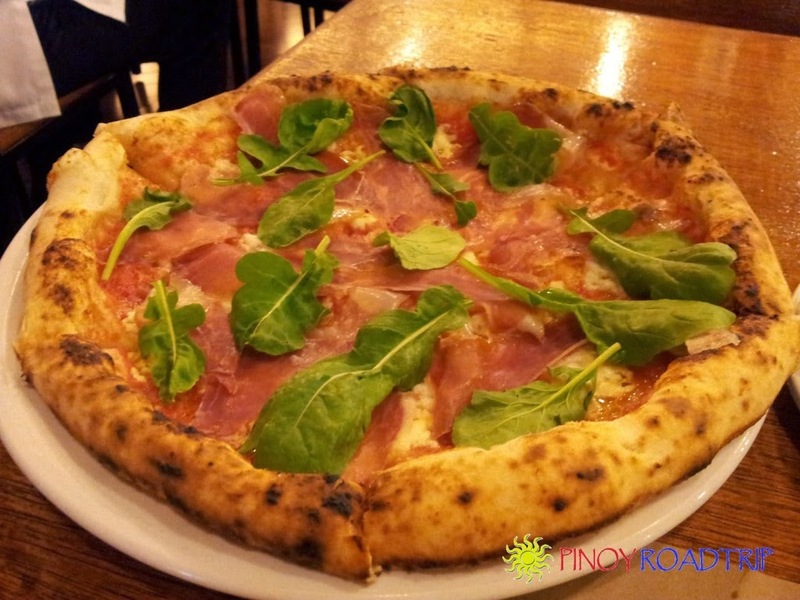 and cooked in a brick oven. 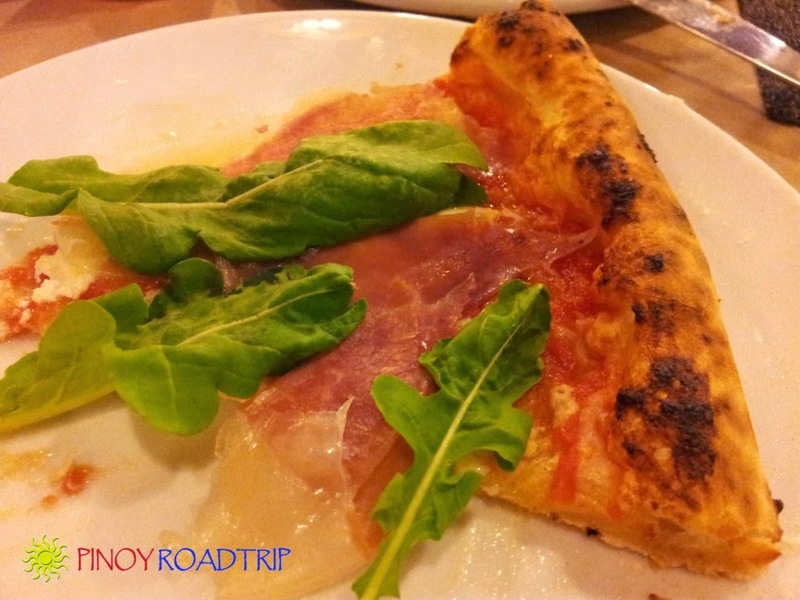 The size is around 9 inches, cut into 6 slices, and cost 420 pesos. 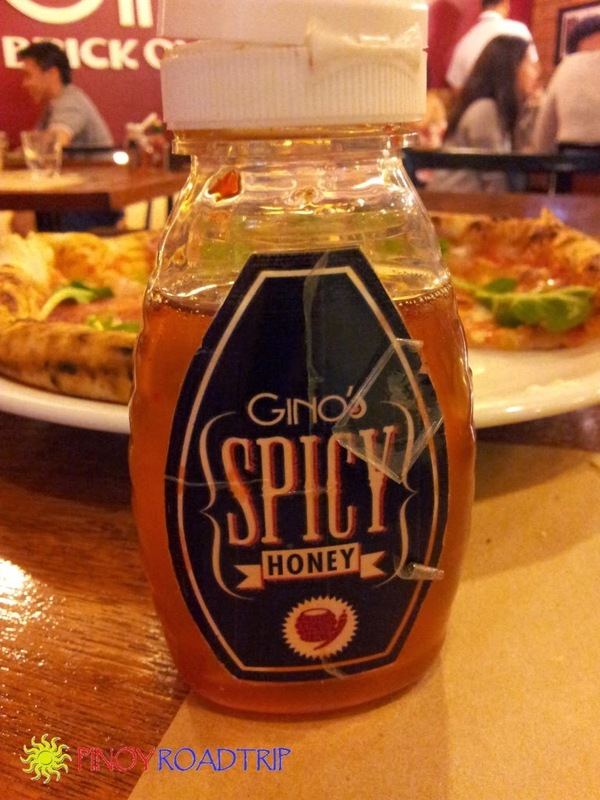 My tip: Make sure to try this pizza dipped in Gino's spicy honey shown below. The unique taste of sweetness and spice adds another dimension to this dish. with the flavor and spice of red pepper. The restaurant is small and is almost always filled with people.